Come in, cozy up and get ready for the most comforting time of the year …fall. The weather may still be on the warmer side, but the scent of pumpkin spice is definitely in the air. Time to start thinking about giving your home decor a cozy upgrade. If you start now, when the temperature unexpectedly switches from sweltering to sweater-worthy (it’s always so sudden isn’t it? ), all you’ll need to do is light the fireplace, grab your favourite cuppa, and settle in for some serious binge-watching. Nothing adds instant coziness to a room like a good throw blanket. The best blankets seen jauntily draped sofas, chairs and beds tend to be chunky, soft and always inviting. It should look just as good adding texture to your room as it feels adding warmth to chilly arms. Tis the season for leaves and branches, richly coloured flowers and straw bales. There’s just something about fall that makes us want to celebrate nature’s abundance. Perhaps it’s simply engrained in us to know that this is harvest time. Get ready for soups, stews, apple butter, and all of the delectable comfort foods that seem to go hand and hand with slow cookers and fall weather. There is just nothing like the experience of filling your home with the heady aromas of slow and low home cooking. One of the most pleasurable aspects of the transition to fall is that it’s the unofficial start of flannel sheet season (unless you happen to hate feeling warm and cozy). Soft, warm and not always plaid, flannel sheets are pretty much the home décor version of reassuring hug. Not specifically the taste or aroma, but the overall vibe of pumpkin spice season. It’s almost as if pumpkin spice is not a feeling. It’s almost like a preamble to the true hygge of winter. 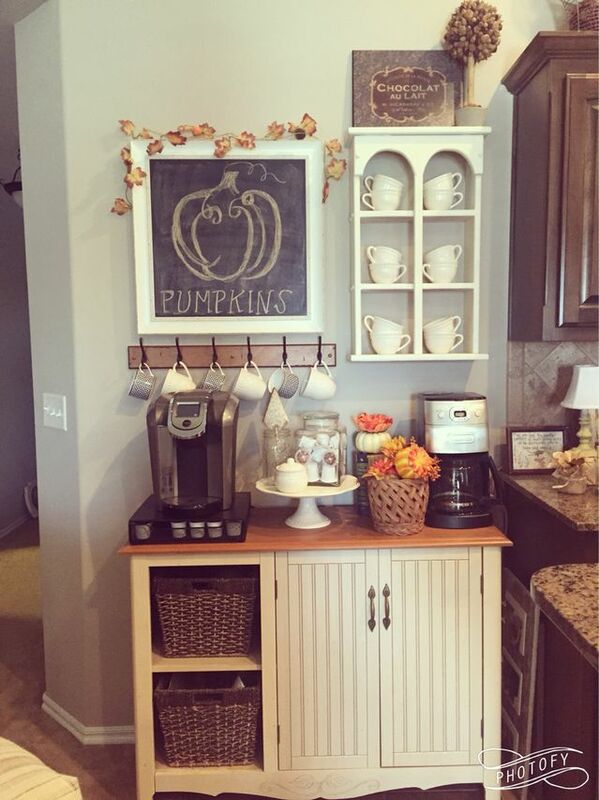 At-home coffee bars and coffee carts have really been enjoying a moment over the last few years, and they are never more appreciated than during the fall and winter months. Be sure to set up for coffee tea and hot cocoa, and don’t forget the flavoured syrups for an extra special treat. Looking for more décor inspiration? Be sure to explore the articles and listings here on eieihome.com.